I didn't have quite enough fettuccine noodles, so I used some rotini as well. 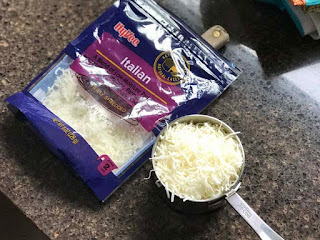 This delicious and super simple recipe comes from my 10th grade son's Foods and Nutrition class. It's become a somewhat regular treat for the two of us, as we are the only two in the family who will eat such things. Truly, this dish is so easy to make. I think it doesn't take much more effort that opening a blue box of Kraft Mac & Cheese--which IS a treat in itself, if I'm honest. This has way more fat in it than the blue box, but I tell ya, it's much creamier and more satisfying in my opinion. 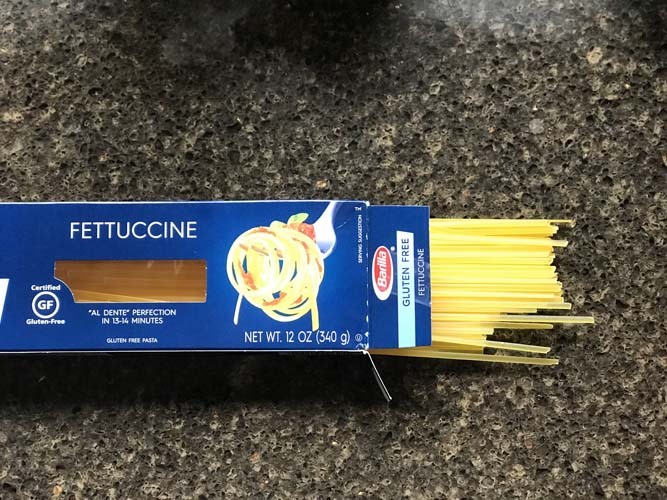 Since I'm reducing my gluten these days, I use the Barilla gluten free fettuccine noodles, and the only difference I notice between them and the wheat-based noodles is that these are slightly more fragile. Still have a great texture and taste, though. 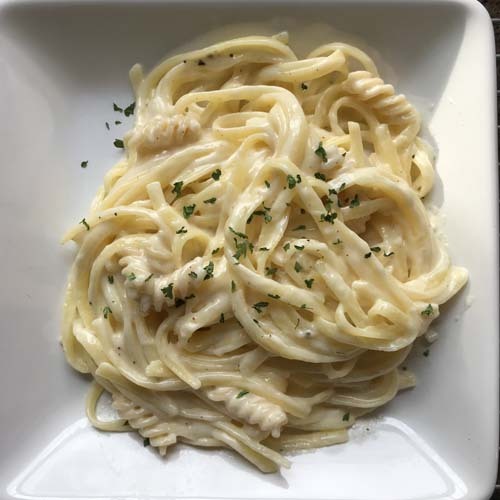 If you've never made your own fettuccine Alfredo, but you like to eat it, give this one a try. Boil a large pot of salted water and cook the pasta according to package directions. In a saucepan over medium heat, melt the butter and garlic until butter is melted. Add cream to the saucepan, burn heat up to slightly over medium, and stir. Bring to a simmer, reduce heat to medium-low and simmer until mixture has thickened a bit (4-7 minutes). Stir in nutmeg, pepper, and salt; and then add the cheese. 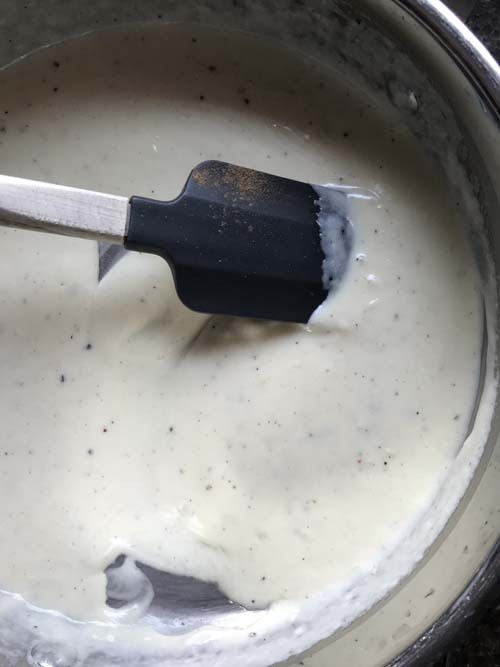 Stir until smooth and thick. Add the cooked and drained noodles. Toss the noodles in the creamy sauce. Plate the fettuccine Alfredo and sprinkle with a little parsley, if desired. Note: Add some cooked chicken and broccoli and make it a whole meal. Also, I usually halve this recipe for my son and myself. Leftover fettuccine Alfredo isn't as appetizing as fresh. Barilla makes some good gluten-free pasta. Any Italian blend cheese will do.